In 1996 Chattam & Wells was created as the first real American luxury product. After many years being absent in the Market, we had requests from customers in California to bring Chattam & Wells back. Now might be the right time, as the economy has recovered and customers out there are really looking for well made luxury products. Before creating anything new, we looked back into the heritage of Chattam & Wells. Chattam & Wells was created as a luxury product and everything about it was authentic. 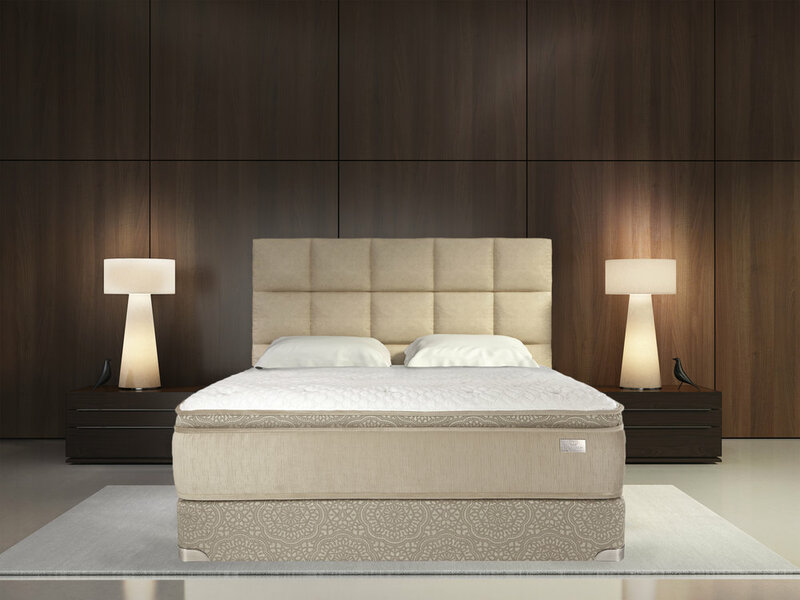 Chattam & Wells was built with the idea that every component going into it was actually creating a better night sleep. In keeping with the heritage we sought out to create the New Chattam & Wells, with the ideals that it had to be authentic, and it had to be uncompromising. Before doing anything, we researched trends currently out there today, in mattresses, fashion, and interior design. Our idea was to take form and design from adjacent industries, such as fashion and furniture, and bring those into the Chattam & Wells look and feel. On the outside, we built a piece of furniture. Using furniture materials and furniture building technique, Chattam & Wells is build to last. For a unique addition to the style and look, we brought in the signature emblem. The signature emblem came straight from the trends in women’s purses today. On the inside, we built a mattress truly built to last. We made zero compromises on the components. Using ultra high density foams, high end latexes, and lots of natural materials and wools, we created an amazing looking and feeling product that is built to last and suitable for luxury homes all over the world. Chattam & Wells was originally created in 1996 under the umbrella of Spring Air, and today continues to elevate Spring Air with its defining luxury. Spring Air, since 1926 has been widely recognized for its innovative mattresses and has stayed true to quality, innovative design, and value. Please visit wwww.springair.com for more information.